Please note: this course runs from 10am to 5pm on Saturday and Sunday with a showcase for friends and family at 6.30pm on Sunday evening. Are you an improviser wanting to get into stand up? You can do it in two days. Over one weekend, create and perform a five-minute stand up comedy act. In the experienced hands of Chris Head you will be guided through finding your persona, creating material and delivering it so it works. Teach you the skills you need to deliver your act and work the room. Crucially, you will learn how to construct and deliver a stand up set without having to write and learn a script word-for-word, as a lot of beginners do. 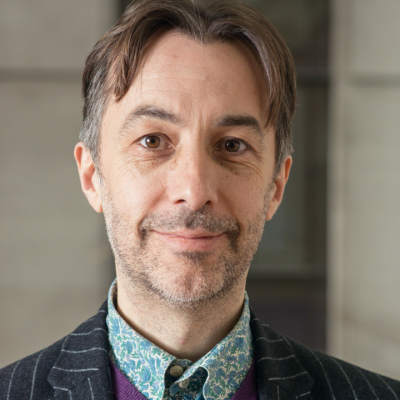 Chris has directed, taught and coached stand up for over ten years both independently and as lecturer for Bath Spa University. He directs shows for the stage including at all the major venues of the Edinburgh Fringe, across the UK, numerous venues in London including Soho Theatre and Bloomsbury Theatre, and internationally at the likes of the Melbourne Comedy Festival. When he’s not doing that he teaches stand-up speaking skills to corporate clients, working with the likes of Google, Channel 4, ITV and BBC. He is the author of A Director’s Guide to the Art of Stand-up (Bloomsbury Methuen).